1. 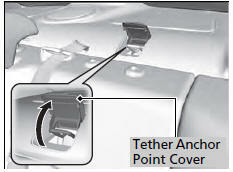 Remove the rear outer head restraint on the rear left side, and open the tether anchor point cover. 2. 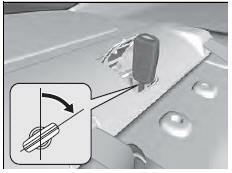 Insert the key into the cylinder and turn the key to the right.